Two things become abundantly clear just pages into Jon Guenther’s latest novel, Soul Runner. One: the author is a man of faith. Two: he’s an expert at crafting edge-of-your-seat tales of high adventure. The first point should come as no shock, as the plot of Soul Runner revolves around a mission to rescue a Christian dissident from her Communist oppressors in Romania, circa 1988. Its hero, Dr. Abram Aronsfeld, is a former Hasidic Jew and current member of ARK, a covert organization that exists to rescue persecuted Christians worldwide. Aronsfeld can quote scripture like nobody’s business (to prove it, Guenther provides a list of scriptural end notes in the novel’s back pages), and he also believes in miracles. Not that he’s necessarily expecting the parting of the Red Sea or a plague of locusts to beset his enemies, but the occasional Deus Ex Machina in the form of a colleague getting him out of a jam at just the right moment is certainly enough to justify Aronsfeld’s faith in divine intercession. As for the second point, Guenther proves throughout Soul Runner that he’s mastered the juggling act of keeping a story moving forward at full-steam while simultaneously fleshing out his characters and placing them in expertly wrought, highly credible settings. That is, Guenther is not just an expert at plotting out stories; he’s also quite the universe builder, breathing life into his characters and giving them free reign over their destinies. Thus, while the plot of Soul Runner is clearly mapped, it never seems contrived. Rather, it stems naturally from the wishes and desires of its characters. Again, not that this should come as any surprise, as Guenther is the author of over 30 novels (mostly pseudonymous), which is to say that he’s had a lot of practice. 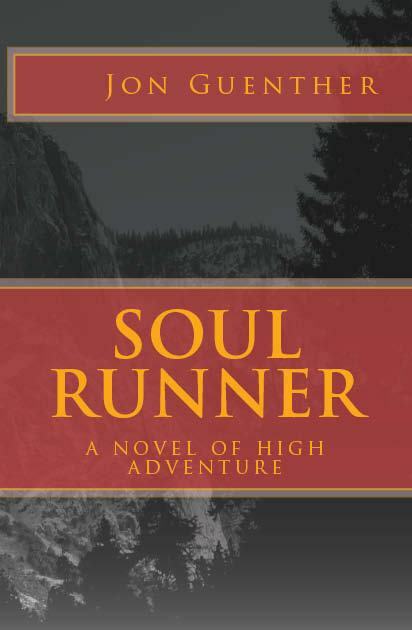 Given all of this, it’s a safe bet that Soul Runner will appeal to anyone who’s looking for a literary thrill ride with a distinctly Christian bent. For a free sample, prospective readers can download the first chapter at his website. Read more reviews of books from small and independent presses at Small Press Reviews. Like the truth itself, Truth or Something Like It by Curtis Smith is layered, complex, and frequently subtle. Ostensibly, the narrative revolves around a cover-up that begins when protagonist Glen Tate accepts a bribe to keep his mouth shut about some dirt he’s inadvertently uncovered regarding a politician’s recently deceased son. Evoking shades of the recent John Edwards paternity scandal, politician Arthur Lyndon is running a campaign based on a promise of high moral standards that certain of his son’s lifestyle choices threatened to undercut. This element of the story, however, is only one of several that fit comfortably within each other like a series of Russian nesting dolls. In addition to dealing with the moral ambiguity inherent in accepting hush money, Glen also needs to deal with a perpetual flow of personal crises. In his work as a special-ed teacher, Glen walks a fine line between friendship with and professional distance from the students whom many of his fellow teachers have dismissed as “freaks and geeks.” His only adult friends consist of a sullen cadre of outsiders who work in a used book store, and his girlfriend has just announced that she’s pregnant with his child. As if this weren’t enough, Glen learns from his mother that a former girlfriend of his is about to be married to one of his old rivals from high school. Embarking on a quest to throw a monkey wrench into the impending nuptials, Glen and his best friend Charlie get caught up in a mission to help an erstwhile stripper get out of the business. Given the number of balls he’s juggling, it would be perfectly understandable if Smith flinched or faltered on occasion. What makes this novel so impressive, however, is that he never does. What ties all of the largely disparate elements together is the concept of truth (and its shady twin, deception). Even when Lyndon’s spectral agents aren’t spying on Glen to make sure he’s keeping his mouth shut, his buttons and bumper stickers are everywhere, claiming that he, unlike other politicians, is a force of truth. The fact that he isn’t only underscores the unsure moral footing that Glen finds himself treading throughout the novel and points to the undeniable fact that he needs to recognize: his own life, like Lyndon’s campaign, is a house of cards built on a foundation of lies (to put it bluntly). Thus, even as he tries to uphold his nice-guy image, Glen struggles with the very contradictions that define his true identity. Fans of Smith will find a lot to enjoy in his latest novel. As with Sound and Noise, he explores the culture peculiar to the small college towns of central Pennsylvania, and as with all of his fiction, he proves himself a master of fleshing out his characters and studying the human condition. Yet the complexity of Truth or Something Like It also takes Smith into new territory that’s bound to win him more followers. Anyone familiar with the Sam Acqillo Hamptons mysteries knows that Chris Knopf is, to say the least, no slouch when it comes to storytelling. Sharp dialogue, strong pacing, and complex characters bring titles like Head Wounds and Hard Stop to life and place Knopf in the company of such luminaries of hard-boiled fiction as Raymond Chandler, Elmore Leonard, and Walter Mosley. With Elysiana, his latest novel, Knopf breaks new ground by plying the tools of the suspense trade to a tale that’s equal parts mystery, romance, nostalgia, and political intrigue. In many ways, the novel’s title is a hint of what lies between the covers. The Elysian Fields, after all, were known in ancient times as the resting place of the brave and virtuous. Similarly, the island town of Elysiana – a fictionalized amalgam, for those familiar with the South Jersey shore, of Strathmere, Avalon, and Stone Harbor – is a vacation spot populated by heroes of a distinctly modern stripe, most notably the town’s lifeguards. Yet Elysiana is, thankfully, no Baywatch, and Knopf’s lifeguards run the gamut of intellectual and emotional complexity. For example, there’s the brain-damaged yet brilliant Jack Halcyon, the sole inhabitant of an otherwise abandoned resort hotel that towers over the island. Then there’s Avery Volpe, the no-nonsense head of the beach patrol whose heart belongs to the local crime boss’s wife. Add to the mix a host of scheming politicians, stoner surfers, petty thieves, and other wayward souls (each with their own agenda), and you have the makings of the perfect summertime page-turner. What really marks Elysiana as a classic is Knopf’s gift for creating compelling characters, and in this respect, the novel is a tour-de-force. Juggling a half-dozen or so major characters whose paths cross in the most Shakespearean of ways, Knopf never misses a beat. As a result, the reader can’t help reading just one more page (regardless of the hour) not just to see what happens next, but to see what happens next to these people. Like anyone we might care about, Knopf’s characters have histories that are both admirable and sordid, with hopes and dreams whose cautious optimism is rendered all the more moving by everything that threatens to tear those dreams asunder. To put it bluntly, Knopf is a literary craftsman of the highest caliber. With Elysiana, moreover, he lets his imagination run wild and, in so doing, rivals even the Beach Boys at evoking the classic American summer of our collective dreams. To read more reviews of books from Small and Independent Presses, visit Small Press Reviews.